I wasn't sure I wanted yet another box to carry around with me, but now that I've been playing around with the Kingston MobileLite Wireless G3, I don't think I could actually go without it. This little device is so incredibly handy. Related reading: All of our Kingston gadget reviews to date. My new pocket buddy is a useful charging dock for those times where I've rushed out of the home in the morning having forgotten to charge my mobile phone overnight. Trust me, that happens a lot. I start drinking beers and by the time I stumble into bed I've forgotten completely that my phone battery is in the red. Before I started using the MobileLite, that meant I would have to go without Miku Flick and Disney Crossy Road for the long commute into the city for work, and I can assure you sitting there, bored, listening to people who must have some mutant form of whooping cough hacking all over me, is just the bane of my day. But the MobileLite resolves that. 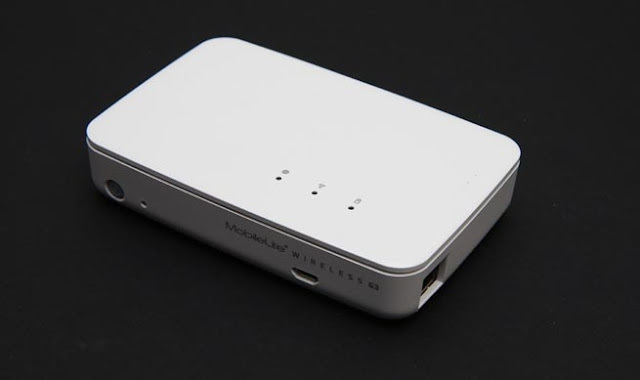 Its first function is that the box behaves like a portable recharge battery, and will get your phone or tablet up to full power almost twice over before it itself runs out of juice. That's more than enough to get a full day's heavy use out of the devices, so suddenly long haul flights or overnight trips into the wilderness don't carry the risk that you'll have to go screenless. Of course, if that's all MobileLite did, you may as well just buy a portable charging battery, and for that specific purpose there are far more powerful options out there. But with this device, it's just one of a bevvy of useful features that make it a handy device to have around. 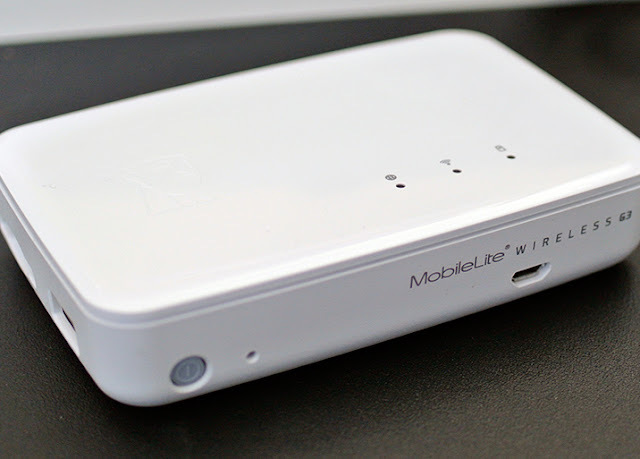 The MobileLite has a USB and SD Card slot, and broadcasts a wireless signal. 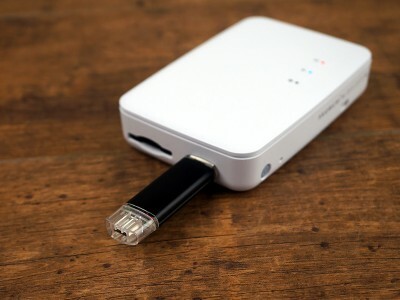 This makes it a perfect device for backing up or transferring photos and other files from the mobile devices on the fly. Plug a USB stick or SD card into the device, connect the phone to it over that wireless signal, and then assess the (free) MobileLite Wireless app that you've downloaded off the app store. From there it's easy to copy photos to the USB stick and SD card, or access any content that is on them. This is especially useful for creating backups of photos and videos taken on the fly. And, while it's relatively easy to simply email yourself photos when you're in a area with a strong wireless signal, it's far more difficult to copy videos off the mobile device without sitting in front of a computer; especially if you're using Apple devices and don't want to deal with the mess that iTunes has become. This solution fixes those problems; copy the video to the USB stick, drop it on to your PC, and it all becomes effortless. Because the MobileLite works quickly and efficiently, it has become my preferred way to move files around. In fact, the MobileLite saved an awful lot of photos I assumed I would lose. I recently smashed my old iPhone, and while I could charge it, I could barely use the screen (the glass was a threat to my fingers), and I couldn't connect it to my PC for some reason. But in being able to quickly download the MobileLite app to the phone, and transfer the photos that way, I was then able to get them to my new phone. Crisis averted. Thank you, Kingston. The data flow works the other way, too. Stick a movie in .mp4 format on the USB stick, and you'll be able to watch it on your mobile device while out and about without chewing up storage on the device itself. Spread a library of movies across a couple of different USB sticks and you'll never want for something to to while camping again. Or, if you're on location with your camera, you can stick the SD card into the box and copy the photos directly to your iPad. As someone who has lost an entire day's worth of photos after dropping an SD card into a pool of water, the ability to make immediate backups is a valuable one. All of this is housed within a surprisingly lightweight, visually pleasing white box. The surface of the device is glossy and contains three lights to let you know when the wireless is turned on, or the status of the battery. The USB and SD card ports are ugly around the edge of the device, but obviously necessary to the function of the device. It's not the perfect device, however, and a couple of things do need to be highlighted; most critically of all that the functions of the device need to be accessed through the app. So, for example, I can't connect my PlayStation 4 to the MobileLite to transfer over the thousands of screenshots I have of Dead or Alive 5. It's not the end of the world, since I can simply transfer them to a USB and then access them by plugging the USB into the device, but it would have been nice if I could simply use this thing as a hub for all devices when I was doing a round of backups and transfers. The other issue is really minor, but weight balance across the device is quite poor, with the part that houses the battery far heavier than the rest. This lends the device an overall "cheap" feel, when coupled with the plastic. However, those tiny issues aside, Kingston's MobileLite Wireless G3 is a hugely useful little device to have in the backpack. It significantly enhances the functionality of mobile devices - especially those that aren't compatible with external storage, or have short-lasting batteries. At around $80, it's great value, too.